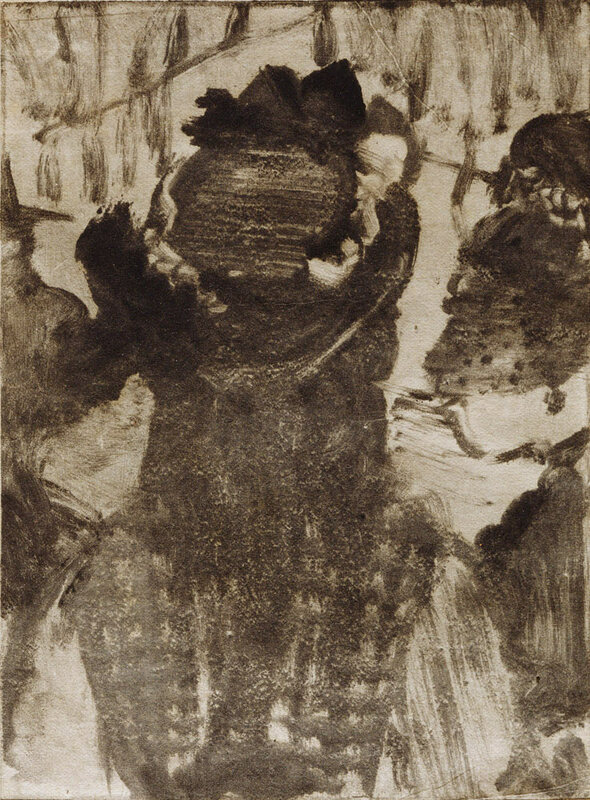 Hilaire-Germain-Edgar Degas, On the Street (Dans la rue) (1876–1877), monotype on China paper, image 16.2 x 12.2 cm. Collection of Mrs. Martin Atlas. While I was walking through the exhibition of Degas monotypes at MoMA, examining those interior spaces he was able to evoke, it occurred to me that his real subject was air—that Degas had chosen monotype because it is best suited to catching the ephemeral. Why did he not use oil on canvas or pastel for these images? 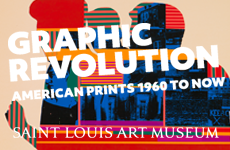 There were examples of those media in the exhibition, but it was clear that monotype provided Degas a different mode of working and of seeing. Monotype has something in common with photography, and Degas’s use of cameras was cited in the exhibition and its accompanying catalogue. But even if Degas had never taken a photograph or referred to the form, we still would notice the connection. One similarity can be found in the speed of execution. 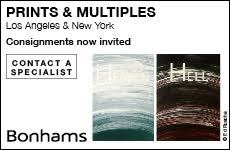 Many of the images here are glimpses, scenes of a type that might be captured by photography—people passing on the street or engaged in activities indoors. Most of Degas’s monotypes are small, about the size of a typical photographic print of the time. Not that Degas made monotypes on the spot—he didn’t; but he devised ways to use the swiftness of monotype to capture the instantaneity of seeing. A painting or pastel would require a much more labor-intensive process, even if the final image might partake of an air of evanescence and changing light. 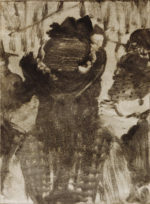 The monotype, by contrast, can be made quickly, and its status as a unique object (not one of a number in an edition) also parallels its quickness of vision. It is not something planned, or staged, in the studio.